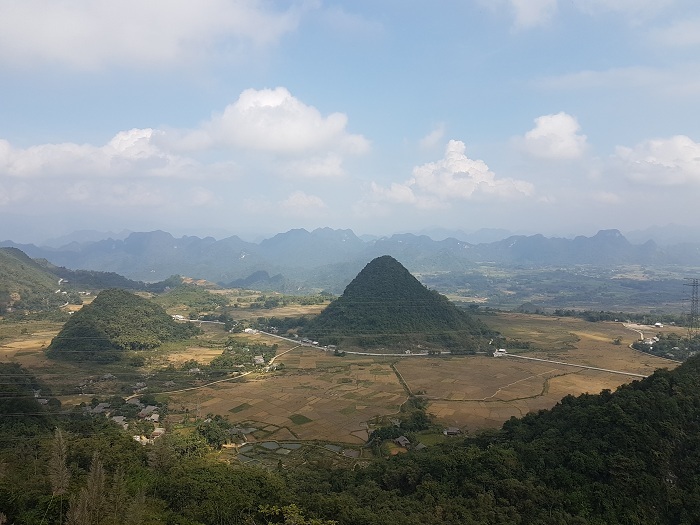 Mai Chau is a mountainous district of Hoa Binh Province, where many backpackers are attracted by cloud covered roads and tortuous slopes with full of adventure. Mai Chau Valley is so quiet and strangely beautiful. 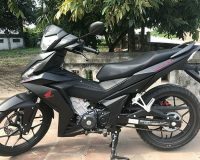 There is nothing more wonderful than driving motorbike along the trails, walking for sightseeing, visiting the vast immense fields and the local markets, as well as watching Thai girls dancing. Lots of things to do in Mai Chau. Spend 3-day backpacking trip to Mai Chau by driving to feel and experience. The distance from Hanoi to Mai Chau is about 130km and easy to drive than the roads to Moc Chau or Ha Giang. 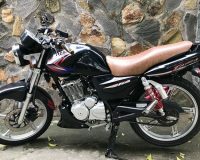 The distance is not so far and difficult so I think you can travel to Mai Chau by motorbike. Regarding to accommodation, you can ask for the homestay in Lac Village. Two to three days for the trip in Mai Chau are enough to enjoy. In this article, I will guide you how to backpack to the place in 3 days. Mai Chau Valley’s location is in Highway 6 (on the way to Moc Chau), so you can combine the trip to Moc Chau and Mai Chau. 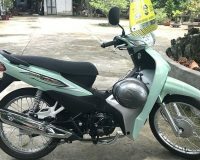 In the morning, you will depart from Hanoi to Hoa Binh with the distance of about 60km. This road is very easy to drive. The roadside mountainous scenes from Xuan Mai – Hoa Binh are beautiful. 1. Go straight to the city to visit the Hoa Binh hydropower, climb to Uncle Ho statue for taking photos. The ticket fare is about 30.000 VND. Then, you will have lunch in Hoa Binh. Continue the trip to Mai Chau. 3. When arriving in Tan Lac District (Muong Khen Town), you can take a visit around the town with Cot Co Mountain, Limestone Mountain. After that, you will have lunch in Muong Khen. Before arrival in Mai Chau, you will drive the motorbike though two large steeps, which are Cun Steep and Thung Khe. + Cun Steep is 12km in length with many winding and tortuous parts. One side is the mountain and the other is the deep abyss. + Thung Khe mountain pass: It is through the low mountains. The pass ends at Tong Dau junction. Before that, you can admire the beautiful landscapes of Mai Chau at the foot of the pass. When you drive to the top of the pass, you can stop to sightsee the breath taking views and eat the corn and enjoy the bowl of delicious corn boiled water. If lucky, you will meet the days of clouds, which makes you feel like you are lost in the heaven. Continue driving through Thung Khe Pass in short time, you will travel to Mai Chau. After the dinner, you can hire the locals to make campfire and “Ruou can” (wine drunk out of a jar through pipes) to eat with the foods you prepared. If you like, you can hire them to dance. The entertainment venues in Lac Village and neighboring villages (drive or walk): To Lac Village – Moong Koong Village – Mai Chau market – Chieu Cave – Van Village – Mo Luong Cave, Pieng Kem Cave and other archaeological sites such as Lang Cave and Khau Phuc Cave. When visiting, you can rent the dress to take photos. Note: If you select option 1, you will arrive in Mai Chau in the late afternoon so the above mentioned places are for the second day. Food: Remember to bring food because there is no restaurant. Afternoon: You will visit Bao La and Pieng Ve on the way to Moc Chau. It will take you about 4 hours. If you still have time, you should visit Pu Lin, the highest peak of Mai Chau to take pictures. Then, go back to Mai Chau for dinner. – If you intend to visit Moc Chau, you just drive straight along Highway 6.